You are here: Home / Features / Feature Articles / Re-introducing wolves to Ireland: could we? Should we? Re-introducing wolves to Ireland: could we? Should we? Those that argue against a re-introduction on the basis of the ‘danger’ wolves pose to the human population are barking up the wrong tree if you’ll pardon the pun. Research and experience worldwide proves that wolves are no more a danger to humans than any other large wild mammal. Wolf fatalities worldwide in the last century are few and far between. In North America, including Canada, there were no recorded deaths after 1900 until the early part of this century. Two deaths occurred in North America since 2000. One is probable the other one is certain. One was possibly down to wolves that had been habituated to humans through irresponsible feeding. Its an intriguing suggestion and perhaps a small family group could be managed in Glenveagh, I for one you would like to se it. Unfortunately some members but not all of the farming would use their scare tactics as they did in the Kerry WTE introductions – as you righty say babies being carried away etc. Politicians and local prominent people should now better. You look at the numbers of tourists now visiting Mountshannon to see these birds. To my knowledge no sheep or children have been killed and eaten. People would pay good money to see these animals so after public consultation and pack management safeguards implemented. Why not give it a try. As much as I would like to see it frankly I don’t think it’ll be in the near future. What about reintroducing The European Beaver into Glenveagh, these magnificent animals who once native, as unfortunately and depressingly as is common drove into extinguishion by man. Great article. Would Beavers be practical to reintroduce. Everyone loves those little fellas. I am struggling with this idea that there would be no benefit to wolves in their being reintroduced. That seems like a very strange statement. As someone who has worked with captive wolves in the UK and for the conservation of their wild cousins in other countries, I would agree with your verdict and emphasise the first sentence…there would be NO benefit to the Wolf. I would also suggest that this also applies to the rest of Britain. Re-introduction to already overpopulated islands just will not work for the wolf. Better to concentrate on the protection of its current habitat and work for re-introduction into lands such as Finland where they have vast unpopulated forest areas but seem vehemently opposed to the wolves attempts at recolonisation. European Lynx on the other hand may be an option? I would love to see wolves re-introduced – they woudl change the eco-system but I am forced to agree with Dan that we simply do not have enough wilderness for them. Many myths and stories tell of wolves and werewolves so they really were important in human life. If you have enough wilderness for red deer you have enough for wolves. Dan, as a fellow reintroduction proponent, I just want to say that I think your heart is in the right place, and your presentation of the possible negative effects of reintroduction is highly commendable, but there are issues in some points you make. You state that wolves don’t kill more than they need, despite the fact that so-called “surplus killing” is well documented in wolves by trained biologists. Furthermore, you mention that wolf attacks in India were due to rabid animals, despite the fact that a large number of them involved wolves working in packs and eating their victims, which is something rabid animals do not do. * Canis lupus has never occurred in South America. * While certainly a social animal, the grey wolf certainly doesn’t have the “strongest social bonds”, even amongst the Canidae. For examples of even greater sociability, see the African wild dog or the dhole. Wolves regularly disperse from their packs and hunt alone, whereas such a behaviour is very rare in the latter two species. Are you referring to the studies on White Tailed Deer carried out by David Mech et al? Or the studies by Norway and Sweden? Surplus Killing is atypical in wolves, where it is more common in other opportunist predator species. Mechs and others studies in Minnesota limited the surplus killing to the winter of 1995-1996, the reason for which they suggested may be the severity of the winter and the condition (nutritional value) of the prey species during harsh conditions. Frankie Sikes, you say you are ‘struggling with this idea that there would be no benefit to wolves in their being reintroduced. That seems like a very strange statement’. On the contrary Frankie I believe it’s a very valid statement. For the many reasons outlined above I believe a reintroduction at this time would be very likely to fail. I believe it would cause significant problems for source populations and could be the cause of pack break ups and destruction. I believe only a very small amount of animals would be re-introduced here if a program went ahead. We do not have the room for large numbers to be introduced or for numbers to be allowed to increase significantly. For these reasons I believe a re-introduction, at this time, to be of no benefit to the wolf, either individually or as a species. 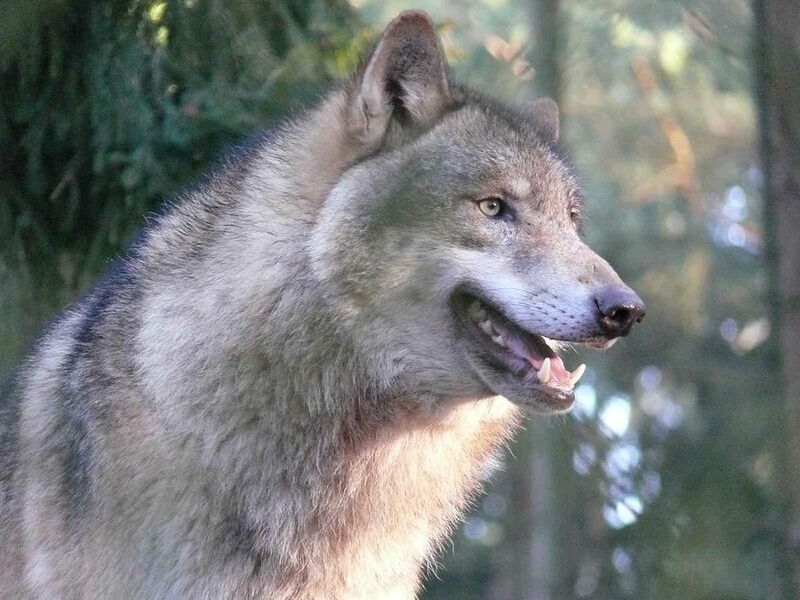 I don’t want to see wolves removed from source packs and released here unless there is a significant change in attitudes and a reasonable chance of the reintroduction succeeding. I don’t think I said it did. I only referred to Canis Lupus in Ireland. I did say the wolf occurred in South America. I believe the Dire Wolf, Canis Dirus, did occur in South America. The maned wolf also occurs there presently but I accept this is a distant relative. Their complex social bonds governs their hunting, the care of their young, their movements and their reaction to loss of pack members and in particular higher ranking animals. Haber also concluded that in some cases it took several generations of the same pack to develop ‘traditions’…be they hunting , traveling or other daily tasks. Im not suggesting this is exclusive to wolves but I stand by my point that their family bonds are some of the strongest in the animal world. Wolves regularly disperse (taking out the ones that hunt alone for periods and return, remaining part of the pack) but they can return to their packs also. Young male gorillas (blackbacks) disperse from their families too, Chimpanzees kill close relatives and group members but we would generally accept those family bonds to be up their with the very strongest in the animal world too. You also talk about surplus killing. Most of the wolf experts/biologists I spoke to say this isn’t a common occurrence. They referred to instances where the wolves took a number of animals…certainly more than they could eat in one or even many sittings but they did return, sometimes significantly later, to consume the ‘surplus’. I wouldn’t call this killing more than what they needed. They did refer to isolated instances where wolves did take many more animals than they needed. These were almost always in situations where the prey animal was fenced in and could not escape, farm animals. But one could argue that left alone the wolves would return and simple consume the excess as they needed it. I was more getting at the perception that wolves kill for fun and maraud around like some sort of group of savages. This perception is certainly out there. Also the issue of rabid wolves in India. When you group rabid attacks and wolves who attack having become habituated to humans through feeding or food assocation then this accounts for a decent proportion of attacks. I was attempting to establish that this wouldn’t be an issue here, I should have chosen my words differently There are plenty of other places in the world where wolves live in reasonably close proximity to human and there are no such problems. And finally Shah you refer to my ‘heart being in the right place’. In the case of possible reintroduction of the wolf to Ireland I would hope its my head and not my heart rules, and the same goes for the biologists who may be tasked with making the decision. Where wolves live, they are part of the environment. I hear a lot of fear speaking around the wolves who gave ous the right to kill / slaughter them in the first place ? It is the farmers who are so afraid to loose money on dead livestock mostly , but what about the porr animals that are more or less non exsisting becourse of hman interfearence and greed ? It is on time that we restore insted of keep taking from the nature . 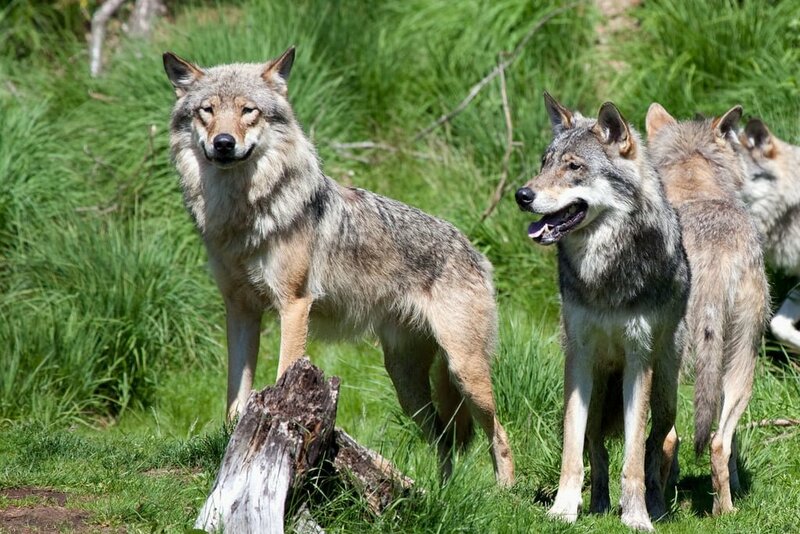 Argee wolves not being reintroduced to Wicklow national park? No Andy… check out the date on the post you shared in your comment from Trailhead.ie — it’s an 01 April post intended as an April Fool prank. Thank you for making us rethink our aspiration for wolf re-introduction. If anything, you’ve made me long for our government and state agencies to turn over more land to “wilderness” or even a cultivated form of it, not unlike what they have in the Netherlands. I have occasionally seen wolves in the wild and even been licked by a good natured wolf in a sanctuary for captured and injured animals but most are not like and typically bite the hand that feeds them; as shown by the damaged fingers of the lady who ran the refuge. Despite efforts to play down the danger wolves have had a long history of killing and eating people. Why has this threat been reduced? Simple, it is the same as the tigers in India; where heavily hunted in the past, generations later, attacks are rare but in non hunted areas people are fare game. The reasons are not clear but possibly bolder animals are killed and only the cautious reproduce or some sort of learning is passed through generations. If you reintroduce wolves you are not going to shoot them but farmers might. However I suggest that game wardens target every wolf they see with rubber bullets to build the fear of humans they need to survive with minimal conflict. Please leave them alone besides that, no trapping, collars and satellite tracking on the public purse. Just pay for dead livestock: which is much cheaper than feeding naturalists. The most recent case (in North America in any case) occurred in 2010, and the wolves were positively identified. The full report can be seen by searching for Butler, L.; Dale, B.; Beckmen, K. and Farley, S. (2011). “Findings Related to the March 2010 Fatal Wolf Attack near Chignik Lake, Alaska”. Wildlife Special Publication, ADF&G/DWC/WSP-2011-2. Palmer, Alaska. As a passionate wildlife lover, and having grown up with wolves in my backyard I would like to put two things straight first in an area where wolves exist theyroam in vast territories often up to 100 sq km or so, and will sometimes take down sheep, goats and an odd cow! People in traditional wolf areas know this and understand this as a write off built into their profit margins. They also have practices which minimise such loss, can’t see the Irish farmer doing that! I think attacks on humans is more imagined than real- wolves in proximity of villages and settlements do frequently ( more often than we realise) come in contact with small children who they leave alone – so such scaremongering is more a product of human mind and some incredibly irresponsible foolish individuals who try to artificially change expectations and behaviour of a wild animal. Whatever happened to thus idea? I understand that it would be a small family group due to space limitation. People should remember though, often these decisions result in surrounding land slowly being purchased up to extend territory. It would be just one other interesting impact to watch unfold. I think it’s a great idea. Unfortunately peoples ideas about wildlife are formed due to attachment to family pets, selectively bred over centuries, and Disney movies. In a refuge for injured wolves and wolf dogs, I have had the privilage of having my face licked by a huge softey wolf and allowed in a couple of other enclosures but mainly no way, even the hand that feeds gets attacked. Folklore is not myth and there is no doubt that most is based on historic truth until hunting and firearms changed the balance. Certain dog breeds kill people every year, so will a wolf if it has no convenient alternative food. Taking North America as an example dogs (of all breeds) kill and injure lots of people every year, wolves do not. One confirmed death and one suspected in the last 100 years or so. One of those was connected to wolves who associated humans with food. Most reported non fatal attacks (rare) have been short cases of mistaken identity. Wolves have zero interest in humans as a general rule, for various reasons. They do not want to be near humans, and they do not consider them as food. The danger comes when they associate humans with food. I’d suggest contrary to your argument, that movies and inaccurate scaremongering has misinformed the majority of peoples on wolves, they do not pose a serious risk to humans. And are we to be surprised that a wolf, a wild predator, be it in a refuge or in the wild will display predatory/aggressive behavior toward a human it associates with food? Hardly a shock! Look, wolf reitrodution would hugely benefit the environment. You said there were too much red deer? Wolves would help that. And as long as the wolves know their boundaries and we know ours, it should be fine. The radio collars idea would be a good one, too. Track down where the wolves are going, and make sure they don’t wander into the heavily populated areas of Ireland. As for the attacks on livestock, build a bigger fence around the livestock. And of everyone is scared of wolves because of myths and folklore, try to get a zoologist to being a single wolf to Ireland to teach everyone that wolves aren’t all that bad. As long as you don’t mess with them, the won’t mess with you. “as long as wolves know their boundaries” – Wolves know no boundaries save those lethally imposed by man or the proximity of other wolf packs. 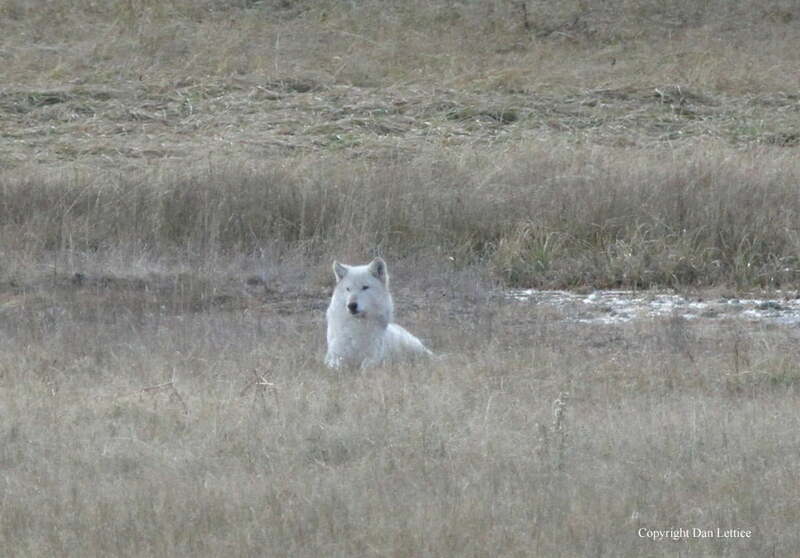 “..make sure they don’t wander into the heavily populated areas..” – How do you do that other than by killing the wolf, as is done in Yellowstone? Once a wolf has wandered, there is no second chance, the policy is to permanently remove the wolf so that it can not do that again. “..build a bigger fence around the livestock” – A full grown male wolf has been shown to be able to jump 10 feet from standing, hence the height of wolf fencing is around 13 feet with an incline at the top of the fence pointing towards the wolf approach. The fence also has to go into the ground and is reinforced with mild steel concrete reinforcing mesh that needs to go down at least 2-3 feet. Even with that, we had one female who dug a Den during the mating season close to the fence, which on investigation extended approximately 6 feet beyond the fence line. Fortunately she had not thought to build in a back door or she would have been out. All trees within around 6 feet of the fencing must be removed, wolves can climb trees. In the late 1990’s / early 2000’s it cost us around £50,000 to fence each 2 acre area. The cost today will be around 4-5 times that. Who do you think will pay for that, the farmers? I think not. Education to dispel the myths and folklore is very important, and exactly what the Wolf Trust I worked for does. But, let’s concentrate on educating the people in Norway and Finland where there are vast tracts of uninhabited land and forest where the wolves could be left in peace. Education is the key. Wolves have a very bad rap, unjustifiably. This needs to and can be changed through education. Wolves in an Irish context just isn’t going to work at the moment (in my opinion) for the various reasons set out in the article. To address the other issues you raise. The deer population is unknown although evidence would suggest an overpopulation. Wolves are wild animals, they don’t do boundaries. They go where they find their prey and don’t respect national park boundaries. Building fences around livestock isn’t an option or even needed. As Steve outlines, its very expensive for one thing. Non-lethal measures, including guard dogs, nighttime light deterrents and fladry have been proven to be just as effective. Dan I very much enjoyed the article and agree with the conclusions. My opinion is wolf introduction would be a vanity project while being of no benefit to European wolves as a species or as individuals. Ireland simply does not have suitable habitat to support a population of wolves. Three problems of habitat deficiency to consider; isolation, land ownership structure and climate. 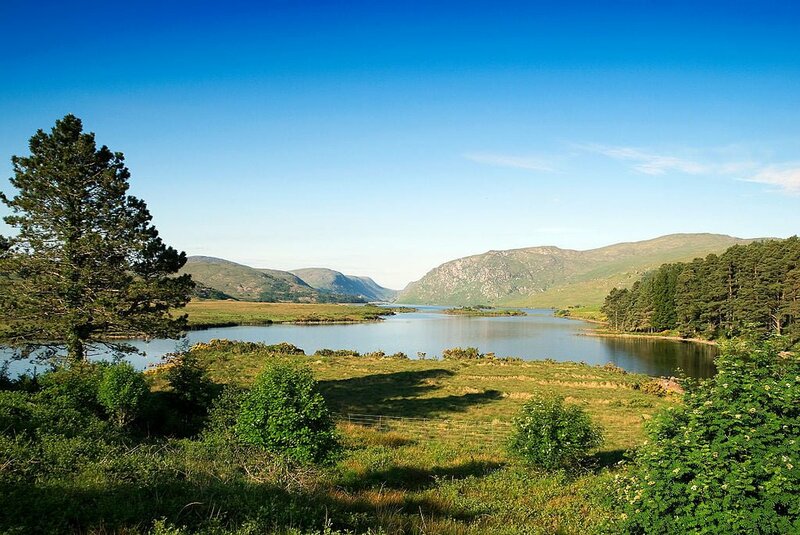 we speak about wild places in Ireland we talk about the mountains and bog lands of connemara or donegal, but go hillwalking there and we find we are never really more than a days walk from someone’s home or farmstead. Furthermore very little of the Irish countryside is state owned compared to other European countries and certainly compared to Canada and the USA, limiting how such a project could be run.lastly,Given the choice wolves would not choose the west of Ireland as habitat The better farming country which is alongside forestry such as wicklow or the sleive blooms on the laois offaly border would be more desirable to wolves, rainfall in both places is lower than the west of ireland, there are much more deer than the west of Ireland and much more domestic livestock, both wicklow and the sleive blooms have sheep country, more woods and hedges and forest and cover. Look at the breeds of small sheep in connemara and donegal 50kg as adults having a tough time the few deer are also hard pressed as they are in far from optimum conditions exposure and starvation are issues for deer numbers in the mountains. Look then to the explosion in deer numbers in wicklow and the Midlands. Botanically much of the uplands in the west are more akin to much higher elevations, there is slim pickings out west! What then? Do we fence in somewhere like glenveagh? If not an actual fence then virtually. We would have to have culls to prevent a growing population spilling out of the park, would we have to hunt down straying individuals? What about suplimentary feeding? Would the project become j a game park? A zoo? The great hope for wolves in Europe is slow recolonisation of suitable habitat happening naturally. Its already underway we just need to let it happen by creating habitat. PLEASE BRING WOLVES BACK TO IRELAND!!!! !